Well, we are now roughly 6 months in with the new Michigan Energy Code. What is the aftermath? Code changes are always stressful for a builder, as they should be. There are so many moving parts to the building process that major changes can cause a lot of stress. Surprisingly the transition into the 2015 Michigan Energy Code has been very smooth, at least for our builder clients. Much of it has been due to the preparation for the changes, but much of the credit should go to the work they have done over the years to build more energy efficient homes. Many of our builder clients were already building a home that met the new code, so they didn’t have to change a thing. Anyone struggling with the new code? If you are, you are probably still using REScheck for your energy code compliance. REScheck is phasing itself out of the energy code game, at least hear in Michigan. I know the upfront the cost is less, but I can almost guarantee you are spending more money then you have to on the building envelope. Anyone still using REScheck is most likely having to use all 2×6 framing to meet the code (frankly if you are not, the only way you are getting the home to pass code is by manipulating the numbers). We are finding in most cases builders can still use 2×4 framing if they go the full Simulated Performance Path and stop using REScheck. Yes, again the upfront cost is more, but in the end you save thousands by not having to use 2×6 walls on the entire structure. Why is REScheck harder in Michigan? REScheck is based off the IECC code (International Energy Conservation Code), which is where most, if not all, the energy codes in the United States start. Some States choose to adopt the IECC code completely and other states use the IECC as a baseline and then adopt their own version of it. 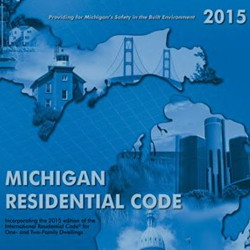 Michigan has adopted its own version, which is pretty much a combination of the 2012 and 2015 IECC, but still has parts similar to the old 2009 Michigan Uniform Energy Code. The REScheck version of the code is more robust then Michigan’s version. This means if you are still using REScheck, you are likely spending more money constructing the home, because the code you are following is more stringent. The Department of Energy has no plans to make State specific versions of REScheck. We recommend our builder clients use the Simulated Performance Path to meet the 2015 Michigan Energy Code. How do you do that? Great question! 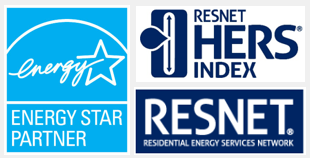 You work with a HERS Rater who will be able to use sophisticated software to analyse a home to meet the actual energy code specific to your State. The upfront cost is a little more, but in the end you may be able to save on your insulation package. 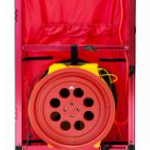 The 2015 Michigan Energy Code also requires all new homes to have a Blower Door test, whether you use REScheck or not. 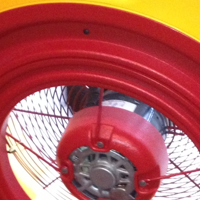 Most HERS Raters will include the blower door test in the total cost of their analysis. In the end the cost is not much more and you are using a 3rd party building science consultant who can most likely help you save in other areas, which will more than pay for the service. The aftermath of the new 2015 Michigan Energy Code has not caused too much commotion, especially for the builders who moved off REScheck a long time ago. I urge you as a builder, at least explore the option of using a Certified HERS Rater to help you navigate the Michigan Energy Code. In the end it will help streamline your process and help you build a better home with less call backs. 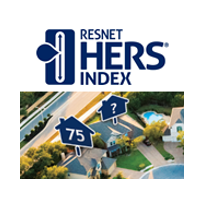 GreenEdge of Michigan is a RESNET Certified HERS Rater headquartered hear in West Michigan. 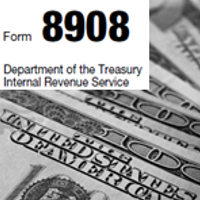 We would love to assist you with any code compliance questions you have.